Miriam O’Reilly on Sexism at the BBC – Update! Earlier this year I was really pleased to have an interview with Miriam O’Reilly which you can read in it’s entirety here . Miriam, you may recall, bravely took on the might of the BBC in an ageism case which she won, causing her to win many accolades and plaudits and a few brickbats too. 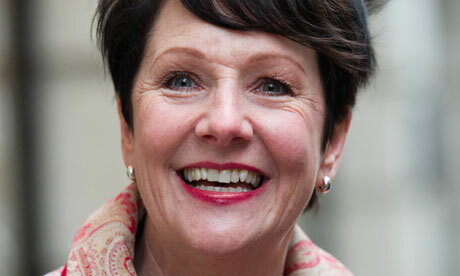 Jane: Miriam, in the light of the new appointment do you think things will change for the better at the beeb? Miriam: Things will change for the better as far as older women are concerned if the pressure is kept on the new DG, George Entwistle, to bring about change. On September 19th he was challenged by John Humphries on Today about the absence of women with grey hair reading the news. This followed from comments made by newsreader Fiona Bruce, that she felt compelled to dye hers. The only woman he could think of who had grey hair on screen was Mary Beard. Mary Beard is brilliant, but she’s an academic who had a short series on BBC 2, she’s not the face of the BBC. I don’t think the licence fee payers are going to let executives at the BBC off the hook on this one. Miriam: A single action…that’s a hard one to answer Jane, because there’s so much room for improvement . I think he could give shifts on primetime news to the four older women newsreaders the BBC took on two years ago after pressure from Joan Bakewell. They’ve been confined to the News Channel ever since. On Today George Entwistle (and he was challenged on this by John Humphries) made it sound as if the process to bring older women to the fore was complicated, it’s not. What you do George is ring Julia Somerville and say ‘fancy reading the 10 O’Clock news on BBC 1’ – easy. Miriam, thank you for taking time out to talk with us. I know you are much in demand for your opinions today so huge thanks. Perhaps we’ll revisit this when we have something to celebrate- the champagne will be on me. And Julia Somerville will be very welcome too!